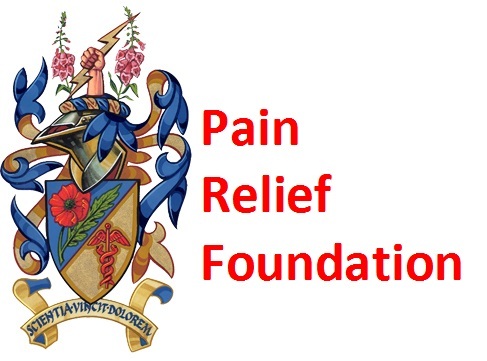 The Pain Relief Foundation has long supported the work of the Pain Research Institute and part funds both the post of Professor of Pain Science and Clinical Senior Lecturer in Pain Medicine at the University of Liverpool. In addition funding in the form of annual grants is awarded to individuals working both within the Institute and elsewhere on chronic pain research. Grants are awarded each year based on the quality of applications. Defining small fibre neuropathy & neuropathic pain in idiopathic fibre neuropathy& chemotherapy.’ induced peripheral neuropathy. The aim of this PhD studentship is to develop a highly skilled future pain researcher, through novel research and training embedded within a multi-disciplinary team of experts in peripheral neuropathy, pain medicine, neurophysiology and corneal ophthalmology. Moving forward, this PhD studentship will equip the candidate with transferable skills of image analyses, laboratory analyses and clinical techniques in pain assessment. We hypothesise that the non-invasive real-time ocular imaging technique of corneal confocal microscopy can detect damage to the small nerve fibres (which are the same type of nerve fibres that conduct pain) as accurately as skin biopsy. We also hypothesise that damage detected in small nerve fibres by corneal confocal microscopy and skin biopsy are related to the types of pain felt. This PhD studentship will assess people with the painful conditions of idiopathic small fibre neuropathy (ISFN) and chemotherapy-induced neuropathy (CIPN). A double burden? A multi method investigation into the experience of paediatric chronic pain and mental health symptoms. Through a series of novel yet related studies, this studentship will provide a detailed account of the challenges that youth who experience chronic pain and mental health symptoms face and how these challenges form barriers to their treatment. The first study will include a review of the current literature to better understand the evidence concerning the relationship between chronic pain in youth and mental health symptoms. The second study will involve collecting questionnaire and interview data over two-time points from 100 youth aged 11-19 years and their parents/caregivers regarding their pain-related disability, mental health symptoms and social relationships. The final study will use interviews and an online survey to explore how 50 clinicians think about treating youth with chronic pain and mental health symptoms and associated challenges faced in this treatment process. Neuronal basis of pain produced by passive transfer of Fibromyalgia from patient to model. Fibromyalgia is one of the most common causes of chronic pain worldwide. There is no diagnostic test available and patients are diagnosed on how severe and widespread their pain is and whether they have other symptoms, e.g. fatigue, sleep problems and depression. Treatment of fibromyalgia is focused on exercise and education, which help patients become more active and cope better with pain. Drugs that are used to treat pain in fibromyalgia are effective in some patients, but often cause problematic side effects and regularly become less effective with time. Fibromyalgia has a serious impact on quality of life, and the fact that patients look healthy, can make it difficult for them to convince their environment about how they feel and to qualify for benefits. The cause of fibromyalgia remains unknown, but an improved understanding of the condition will accelerate development of treatments and diagnostic tests. Neuronal basis of pain produced by passive transfer of Fibromyalgia from patient to model During this project, we will identify how fibromyalgia antibodies cause pain and sensitivity by acting at pain-sensing nerves, and whether a subgroup or all patients have these antibodies. It is likely that our work will lead to improved treatment of fibromyalgia in the future. The effects of non-invasive brain stimulatio on chronic pain & centra sensitisation inpateints with radicular low back pain(sciatica) randomised sham-contrlled proof of principle. The body has pain control systems in the brain which can alter the changes in the spine and many drugs used to treat chronic pain work in this way. However, they are associated with side effects and often do not work. There are now new, drug-free ways to treat chronic pain which involve activating the brain with a safe, easy to deliver electrical stimulus applied to the head. This approach has been used many times in patients with chronic pain, however we still do not know if the pain relief is due to changes in the spine. In this study, we will investigate the effects of brain stimulation on the changes in the spine that lead to chronic pain in patients with sciatica. To do this, we will note patients’ chronic pain and will use a simple pain test on the leg. These assessments will be done before and after brain stimulation on 5 consecutive days. The patients will return 7 and 21 days later and will have the same assessments, this time without brain stimulation. This will be done to see if the daily treatment has any longer lasting effects on their chronic pain. A longer term follow-up at 2 months will also be carried out.The new knowledge that we will generate will help us understand how this new treatment works to reduce chronic pain. Chemotherapy-induced painful neuropathy (CIPN) is the major dose-limiting side-effect of several widely-used, first-line chemotherapeutics impacting survival and quality of life in millions of patients worldwide, every year. There is no treatment to prevent or reverse CIPN. Thus, the emergence of neuropathy causes dose reduction or cessation of effective cancer treatment, limiting patient survival. This studentship aims to facilitate the development of adjunct therapies for CIPN by understanding how CIPN occurs. Slow deep breathing has long been recognised to be important for relaxation and has been used in yoga, and mindfulness strategies. There has been recent evidence that this technique can also be helpful in pain management. We have done a pilot study in health subjects and shown that it works in reducing oesophageal (gullet) pain to acid infusion. We now want to do a study of slow deep breathing in patients who have increased oesophageal sensitivity due to recurrent acid reflux to see if we can improve their symptoms without the use of drugs that tend to cause side effects. Success in our studies will open the way for this method to be used in other painful conditions such as Irritable Bowel Syndrome and Fibromyalgia. Transcranial magnetic stimulation (TMS) is a procedure that has been shown to improve pain in chronic sufferers. It is a well-tolerated procedure that can be performed on an outpatient basis. It uses a plastic covered coil that sends a magnetic pulse through the skull into the brain and by targeting particular areas in the brain it can be used to help modulate the perception of pain. We intend to study the use of this technique to treat such a disabling symptom in patients who suffer from Parkinson’s Disease (PD). Initially we want to study this technique in ten patients who are suffering from pain and have PD. These patients would initially require an MRI scan which allows us to map the brain and target the correct brain areas for the delivery of the stimulation. The stimulation would be performed over twelve sessions and the patients would be assessed by a clinician using well recognised clinical tools. We anticipate a meaningful improvement in pain. We also anticipate it is a safe technique to use in patients with PD. We intend to use this study to help plan a future study that compares TMS with sham technique to prove whether TMS could be an option in the treatment of such a disabling condition.